Did you know, that when you book tours with Adventure Kayak Outfitters, you get all three tours in one? There’s no need to book three separate tours. 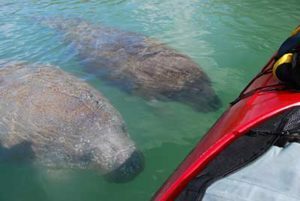 On each tour, we will explore Sarasota by kayak, and during these tours, we will see many different types of wildlife. When we kayak through the exotic mangrove tunnels, we gain a unique perspective. The mangroves are a natural habitat to many different plants, marine animals and native birds. Our native kayak guides will point out and explain things as we pass them. Once we are out of the mangroves, and in the Sarasota Bay, you will love the excitement of encounters with bottle nosed dolphins and manatees. Manatees like to be in shallow salt water bays and estuaries. This makes kayaking in Sarasota, on Lido Key a perfect place to see them. Whether you live in this area, or are here vacationing, Sarasota is one of the best places in the world to kayak. These experiences are one of a kind, and could be the memory of a lifetime. What’s better than kayaking the clear blue waters of Sarasota, and enjoying the best that nature has to offer? At Adventure Kayak Outfitters, we try to make this Sarasota kayak experience simple from start to finish. We offer easy online booking, which includes a discount for booking online. We also offer gift certificates for hassle free gift buying. Not only do we make it simple, our tours are fun for the whole family! See you on the water! Did you know, that when you book tours with Adventure Kayak Outfitters, you get all three tours in one? There’s no need to book three separate tours. On each tour, we will explore Sarasota by kayak, and during these tours, we will see many different types of wildlife. When we kayak through the exotic mangrove tunnels, we gain a unique perspective. The mangroves are a natural habitat to many different plants, marine animals and native birds. Our native kayak guides will point out and explain things as we pass them. 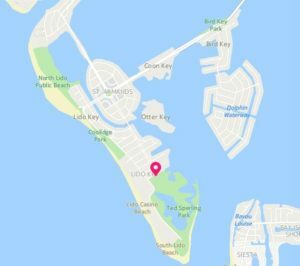 Once we are out of the mangroves, and in the Sarasota Bay, you will love the excitement of encounters with bottle nosed dolphins and manatees. Manatees like to be in shallow salt water bays and estuaries. This makes kayaking in Sarasota, on Lido Key a perfect place to see them. Whether you live in this area, or are here vacationing, Sarasota is one of the best places in the world to kayak. These experiences are one of a kind, and could be the memory of a lifetime. What’s better than kayaking the clear blue waters of Sarasota, and enjoying the best that nature has to offer? At Adventure Kayak Outfitters, we try to make this Sarasota kayak experience simple from start to finish. We offer easy online booking, which includes a discount for booking online. We also offer gift certificates for hassle free gift buying. Not only do we make it simple, our tours are fun for the whole family! See you on the water!